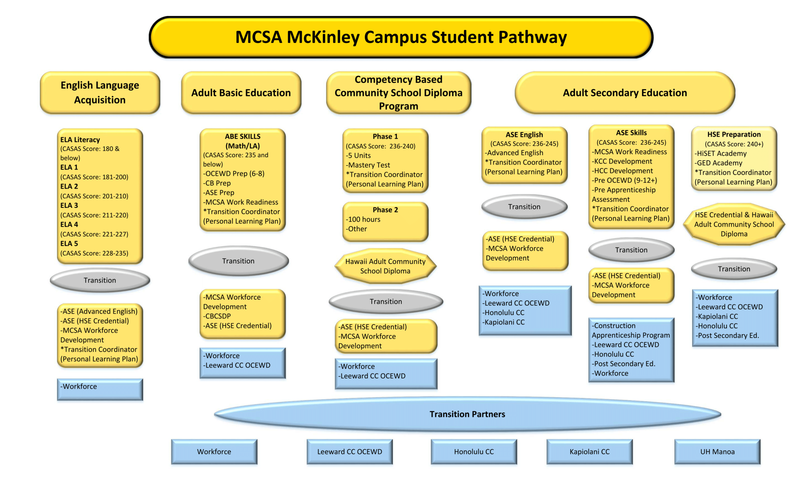 At McKinley Campus, our Transition Coordinator assists with Career Pathway planning which may lead to college and career opportunities. If you are interested in earning your Hawaii Adult Community School Diploma or high school equivalency (GED/HiSET), make an appointment with our Transition Coordinator. Please call 808-594-0540 or come to our office to make an appointment.